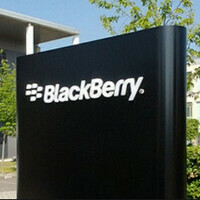 BlackBerry CEO John Chen said that the company will now focus on revenue. "Our financial viability is no longer in question. We're now turning our attention to revenue stabilization," the executive said after it was announced that revenue for the quarter was $660 million. That was well below last year's total of $793 million, and analyst expectations of $786.4 million. Software revenue rose 20% to 67 million. That is a meaningful number considering that BlackBerry is rumored to be thinking about life as a software-only company. Hardware revenue declined 22% year-over-year and 23% sequentially. As for the current quarter, Chen admits that analysts' prediction of a small per-share loss for the current quarter is on target, but said that "we do intend to do better." A report to clients from Morgan Stanley sent out earlier this month suggested that both the BlackBerry Passport and the BlackBerry Classic are struggling in the marketplace. $660 million revenue? Blackberry becoming smaller and smaller and smaller. If BB becoming a software only company, it will become the $67 million revenue company.... even smaller and smaller. They had a $12mm charge-off and acquired Secusmart. If you don't know how to read a P/L sheet, stay in your basement tenement while enjoying fried rats for dinner. Um, to be honest with you, charges do not affect revenue-only the bottom line. The $660 million in revenue is the figure. Regards, Alan F.
Um, to be honest with you, I was referring to a P/L sheet. Read much? Regardless of how many P/L sheets you've read, revenue is never affected by one-time items. The $12 million charge off affects items below the revenue line. Such as EBITDA or operating profits and even net. But revenue is absolutely not affected by charges. Regards, Alan F.
Geez, does anybody here know how to read? I NEVER ONCE MENTIONED REVENUE. The moron I was responding to was blabbing about the company contracting and I pointed out they had a charge-off and an acquisition. revenue means income. No matter how much BB spend, it doesn't matter. Because revenue/income is the amount of money that bb receive, not counting the amount of money that bb spend/wasted. Right... charge effect profit, not revenue. It figures that you would come here trolling. Dude, they posted a profit, no matter how you try and spin it. Asp's are up. Cash in the bank increased. Passports and Classics are selling well, even in the U.S. at AT&T and Verizon. BlackBerry is becoming a leaner, meaner machine, just like I said. "The little engine that could". Oh yeah, remember when you said I'd be here to throw it in your face of BlackBerry did well? Here I am! You hungry? How do you like your crow? He'd be happy if he had the chance to eat crow. Fried rat with a side of possum fritters is all he'll aspire to. You'll be surprised to what we (Guang Dong people) eat. Crow, rat, possum, everything were edible by us. That is not a visual that anyone needed. But if they don't sell as well as the iPhone then they're a failure!!! ... umm... :P Good news is good news. I will say that I was wrong in my statements previously posted in other articles. I'm still not going to say that they're out of the woods just yet, but they've most definitely reversed the downward spiral from years past and for me, that's one hell of a feat. Can't make one comment without mentioning the iPhone can you? I wear a size 14 show. Your teeny, tiny size 6 ain't my size. A size 14 show? Lol who's typing is off again? Had I posted what I really wanted to, I'd be "limited" right now. Let's just say that you're a pretty small guy from what I've been told, and leave it at that. It's ok, we know you don't have the guts to do so because this is all you have. Without your account you'd be an empty shell. As for "small" again when you have stepped foot in the ballpark then you can get on the level of making adult jokes. I'm an "empty shell" without this and all you do is troll BlackBerry and Motorola articles all day long, and get very salty when someone mentions iPhone. And considering that your the 17 year old virgin hear with a shoe size so tiny that it's not even half of mine, I'd say this is all YOU have. Now shut down mommy and daddy's computer and go do your homework, Jr.
You have no room to call anyone a troll. Look at what you do. All you do is constantly shoot down anything negative about Blackberry. Say one thing bad about Blackberry and you swoop down like a hawk. Now shut down the leapfrog and go do your homework. "You have no room to call anyone a troll. Look at what you do. All you do is constantly shoot down anything negative..." I can easily substitute iPhone in their and that's all you do, so don't be a hypocrite. Now stop stalking me on a Sunday night, or do you still need me to validate your existence? Go ahead and respond and prove me right. I'm a size 12 and I'm only 6'1, what's the problem? They don't have adult-sized men in your country? That's not what I meant. He has pointed out my spelling errors before so I'm calling him out on his hypocrisy. I never claimed to be a grammar cop.